It's truly amazing the amount of things that Gram kept... Although most things were tossed when she passed I have bits to go through. Here are a couple things I found. First off I am finding out that my gram was quite a social butterfly Here in 1940 she belonged to a society called "Rebekah's Lodge" I am unsure what that was... Do you know Uncle & Auntie??? ~ A sister doing her best to care for her family... I see you sis... You are the best! ~ A home made walking stick gifted to me by my brother in law for my new hobby... Hiking! This sweet little angel is my niece. She has CP and suffers from a bunch of complications due to her condition. She was just out of the hospital a few days before her birthday trying to get her seizures under control, but that did not dampen her sweet little angel spirit. "Mmm this is so good it reminds me of the good ole days" Soooooo funny... She is only seven the good ole days were probably... What... a week ago. 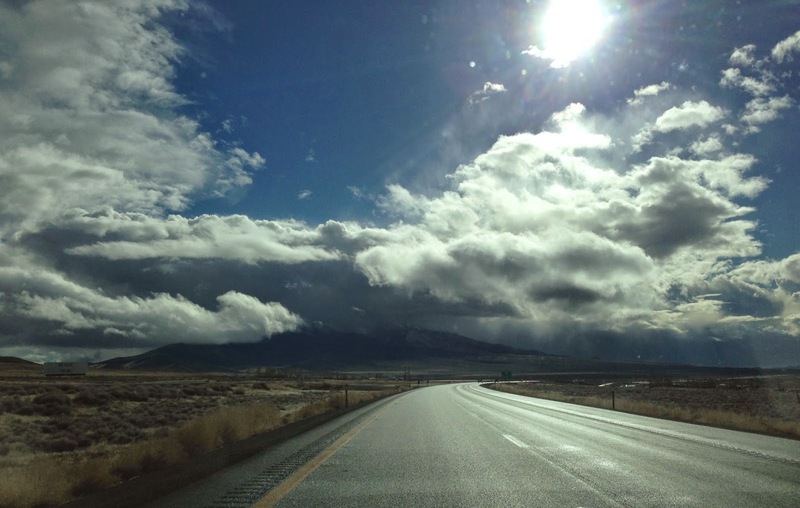 ~ Loving my new route that takes me out to far places where the only thing I see are mountains, animals, fields of sage brush and alfalfa and an occasional rumbly tumbly storm. Another successful date night with my baby The month of February was movie night at home with treats No dressing up, no fighting crowds, no finding the best seat and... no feet in the back of my chair while trying to watch the movie... Just pure comfort with my baby Movies: "Taken 2" "Planet of the apes"